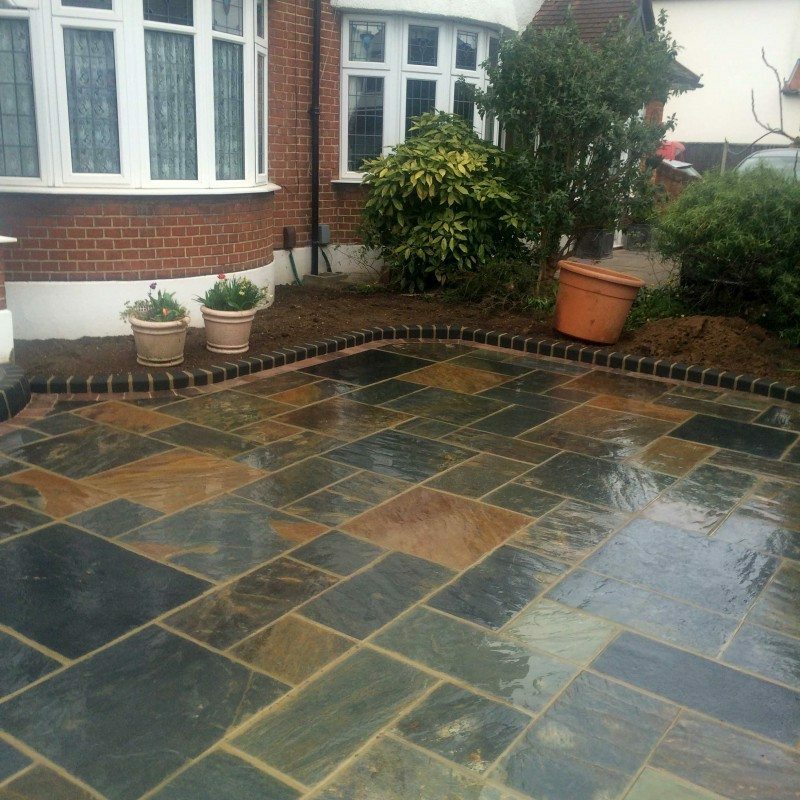 When our customers come to us wanting a patio laid, they always ask what would be the best slabs to go for. 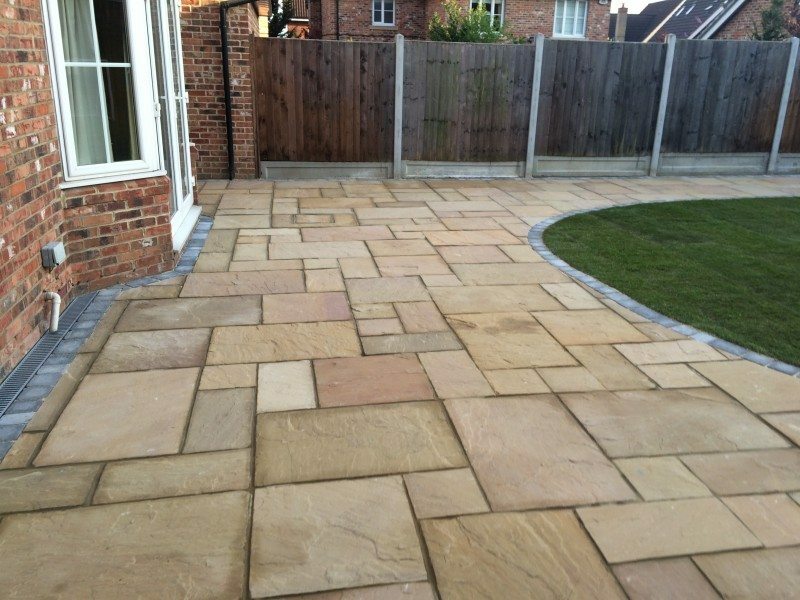 We always recommend them having natural sandstone as it looks amazing no matter where it is laid. 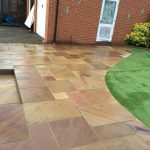 Sandstone is known to be a versatile material which will withstand all types of weather conditions. It can also last a lifetime, so is cost-effective and durable. This material looks particularly contemporary in a traditional way, so fits perfectly in a modern space. The colours of this stone varies, depending on which ocean, river or sand it is from so there is still the option to choose interesting designs and colours for optimum results. 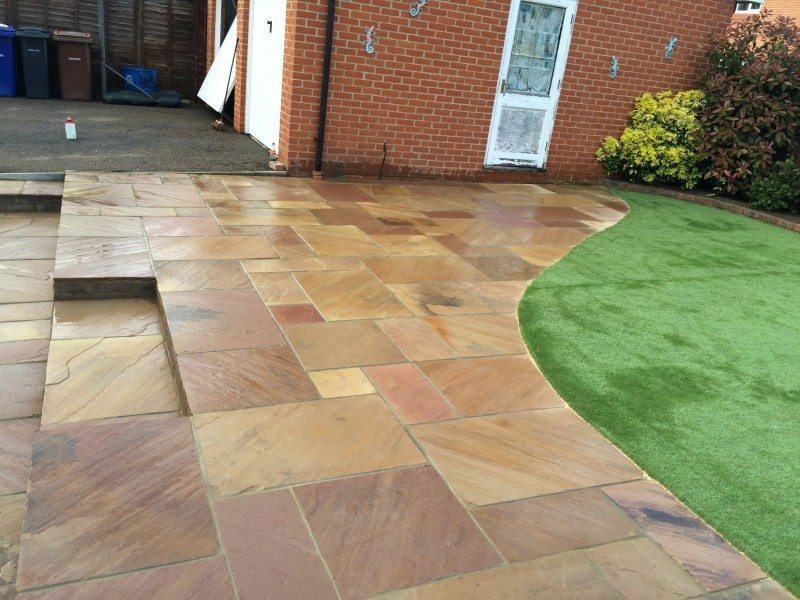 As you can see from our gallery, we have supplied and laid many patios using sandstone in a wide range of colours, creating different patterns for our customers in Essex. 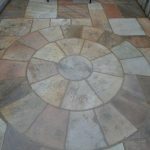 Our professional team can help to create different patterns to make your patio look unique or you can design this yourself. 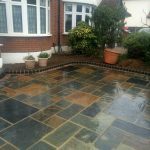 The different coloured stones will enhance any garden, changing it dramatically. Once the sandstone has been laid, a product called easy joint is used to bind the stones together. It can be applied in wet or dry conditions and will not crack once it has set. 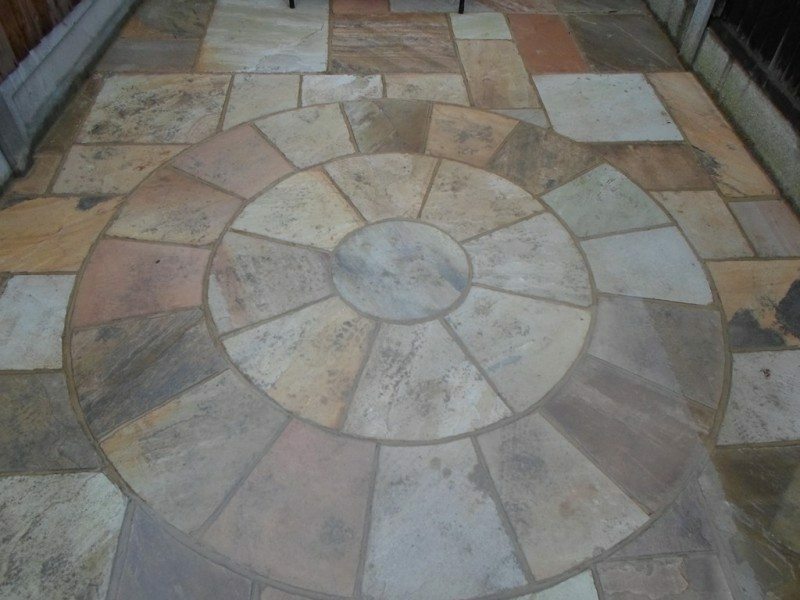 You have the choice of 5 colours which will look very effective in between the sandstone you have chosen. It will last for many years and will not dis-colour or fade in anyway. 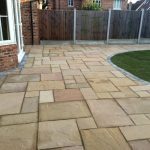 If you would like to see our full range of sandstone, then please contact Advanced today.